As the controversies continue to swirl within the travel industry, I thought it was time to stop and step back to re-look at the important issues that the travelers and the homeowners are dealing with. In last week’s post we outlined the changes that are occurring in the industry. To summarize, the large national companies, with thousands of rental home listings, are taking control of the entire vacation home rental industry. They are imposing added fees without added services. They decide which houses appear after your search criteria is entered. They collect and disburse all funds. The changes that they have implemented include the masking of contact information to keep the traveler and owner – incommunicado. That should not make the renters feel secure. As a homeowner, they want to take the control of my rental property from me and manage it all themselves. Not an ideal arrangement for the homeowner who carries the expensive proposition of home ownership. How does the traveler benefit? It’s not clear that they do. Their vacation home options are the same as before and their costs go up and they have no one to turn to should a situation arise that demands attention. When that happens they call the homeowner, who they have blocked from the transaction all along. Be able to learn about the attractions and happenings within the local area. You can learn about the best restaurants and the things to do on a rainy day. Some support person at a call center 1000 miles away cannot do that. In fact the best booking, as far as these companies are concerned, is the booking when the renter speaks with no one…. ever. Press a button, pay your money and hope that everything is as advertised when you show up. If not… don’t call us! That’s the attitude. Learn about the residence. Wouldn’t it be nice to understand before arriving what the bedroom and bathroom configuration is? How comfortable your parents will be? 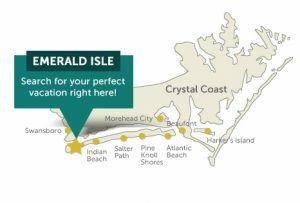 How accessible the decks are and how close to the beach you are? A call center agent who has never visited the house will not be able to help you. Connect with the owner so that after check in you can get answers to questions and/or have someone to reach in the event of an issue. Understand if special offers are available that fits your needs. Save $$$. There are no special fees, booking fees or hidden fees. Instead of paying a website $400-500 in booking fees, take your family to dinner or charter a fishing boat or play 4-5 rounds of golf. Now that’s value !